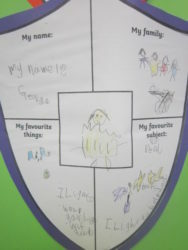 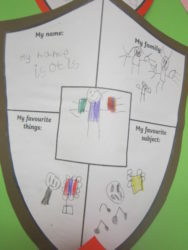 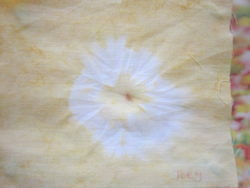 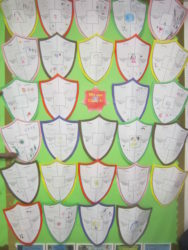 The children created a family shield, telling each other about their family. 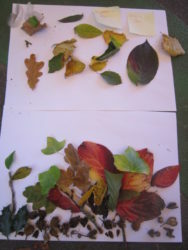 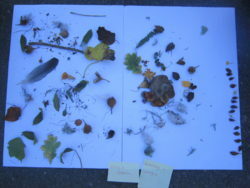 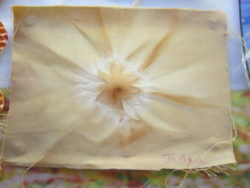 Early in the autumn term, the children were inspired by the work of artist Andy Goldsworthy, and made their own pictures using natural materials. 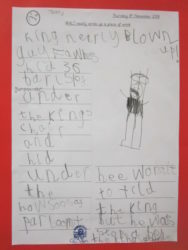 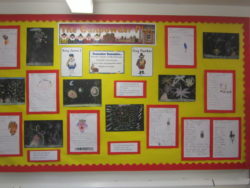 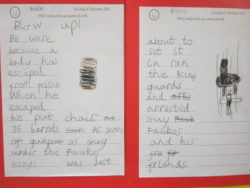 The children had fun learning about Guy Fawkes and The Gun Powder Plot. 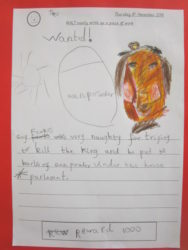 They created wanted posters and newspaper articles about Guy Fawkes. 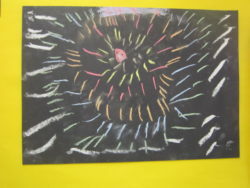 They used chalks to create firework pictures. 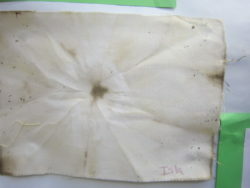 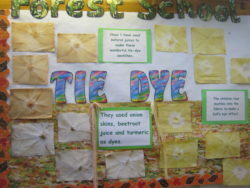 In our weekly forset school sessions, the children made these tie-dye swatches using juices from onions, beetroot and some turmeric. 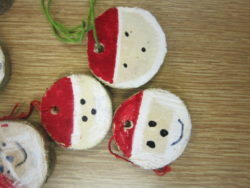 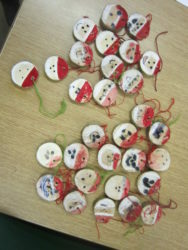 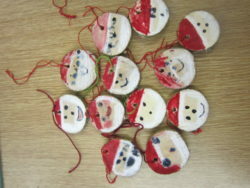 For Christmas, they sawed pieces of hazel, used palm drills to make the hole, and decorated these Father Christmas tree decorations.